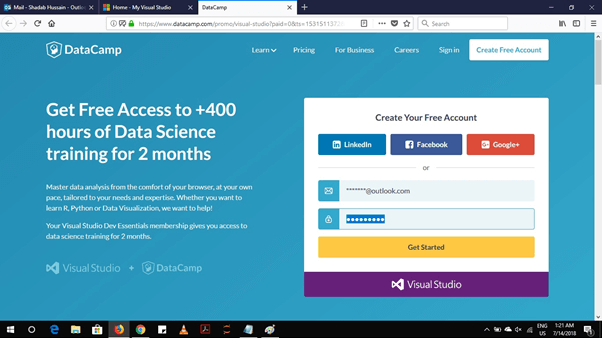 In this article, we will discuss steps to activate free access to Datacamp, Pulralsight, LinkedIn Learning, Etc Through Visual Studio Dev Essentials Program. 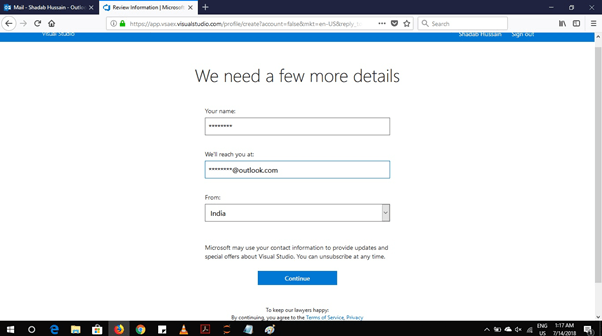 Many of us use Visual Studio and have Outlook credentials. 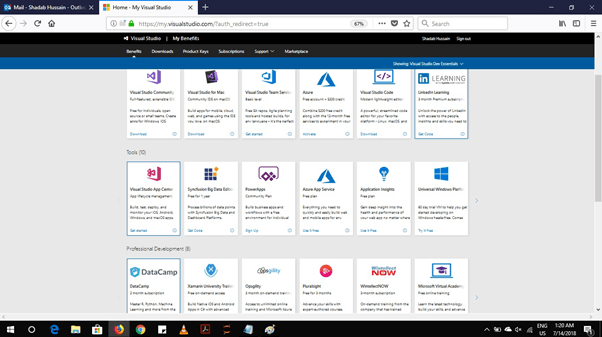 The perk of having a Microsoft account is that you can take the benefit of Visual Studio Dev Essentials Program, like getting trained in various technologies, free access to multiple MOOCs websites, etc. 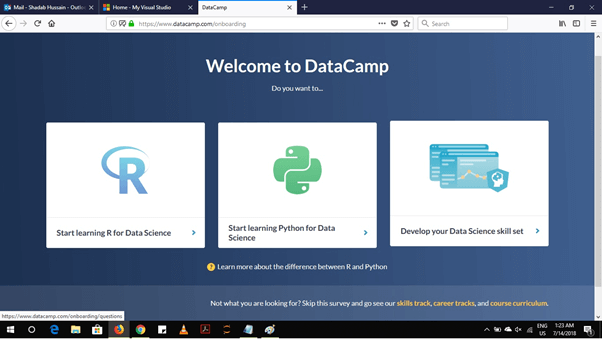 Herein, I have demonstrated the steps to enroll in Data Science track using Python on DataCamp for free for those who aspire to be a Data Scientist or who want to learn new skills. 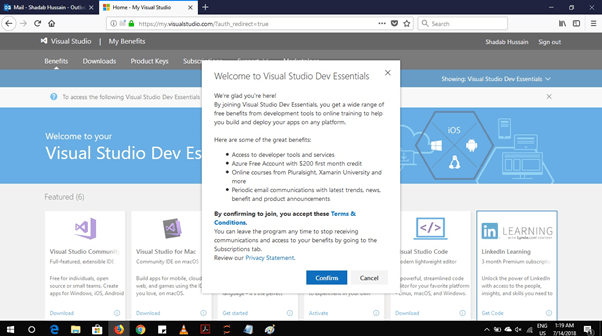 Accept the terms & conditions for Visual Studio Dev Essentials Program. Here, you can see learning websites like Datacamp, Pluralsight, LinkedIn Learning, etc. You can activate your subscriptions for any of these. 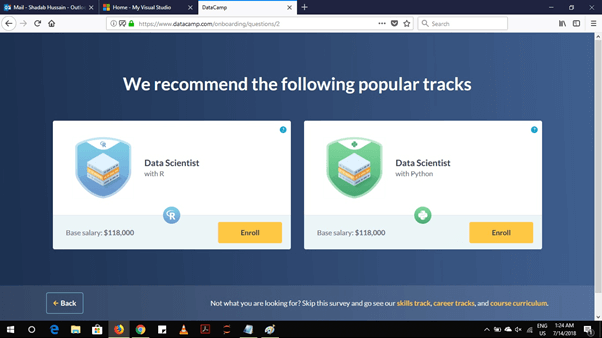 As I’m interested in Data Science Track available on Datacamp, so I’m selecting DataCamp. You can go for any of these. 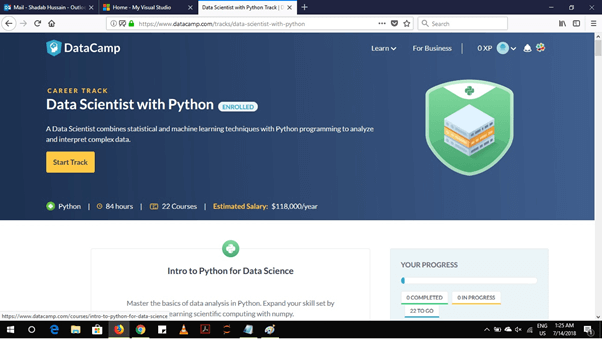 I have selected Data Scientist using Python. You can access any course for free for 60 days on DataCamp, after that you need to pay if you wish to continue learning the paid courses. 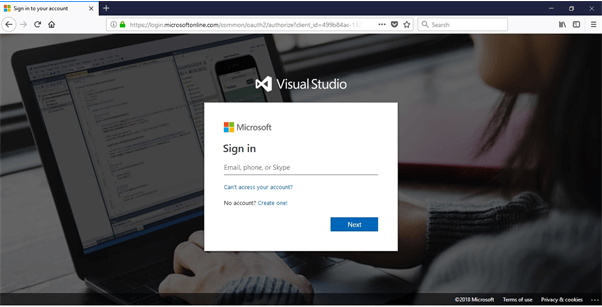 For different websites under Visual Studio Dev Essentials benefit, the number of days for which you can access the contents for free is limited. I wish you all very happy learning!! !